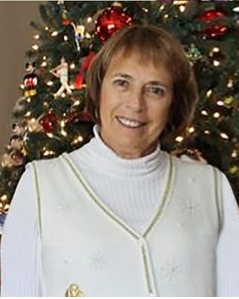 Carol Ann Strickler Austin, 67, of Fincastle, VA went to heaven to be with her Lord on March 20, 2019, after a long, courageous battle with cancer. She passed away at home peacefully, surrounded by her family. She was born on March 18, 1952 in Clifton Forge, VA to Edith Genevieve Anderson Strickler and Linden Lee Strickler Sr. Carol was a graduate of James River High School. She retired from General Electric, with over 30 years of service. She was preceded in death by her parents, her son, Steven Austin, her brother, Linden Strickler Jr, her niece, Lisa Cahoon and her children’s father, George “Shorty” Austin. Carol enjoyed being in the outdoors. She loved taking long walks and planting flowers in the springtime. She is survived by her loving daughter and son-in-law, Julie and Tony Croft, her brother and sister-in-law, John “Tommy” and Linda Strickler, her special friend, Dirk Cole, her granddaughters that she adored, Brittany Austin and Nicole Austin and their mother and brother, Evelyn and Noah Paxton, her nephews, Ronnie Strickler and wife, Kelly and Bobby Strickler and many cousins and loving friends. The family would like to thank Good Samaritan Hospice, especially Sarah for her excellent care, Dr. William Fintel and his office for their many years of care and Dirk Cole for all of his love and support of Carol. A graveside service for Carol will be 1:00pm Saturday, March 23 at Huffman Memorial Park, 20587 Cumberland Gap Road, New Castle with Steve Minnix officiating. The family will receive friends at Rader Funeral Home, 630 Roanoke Road Daleville 6-8pm Friday. 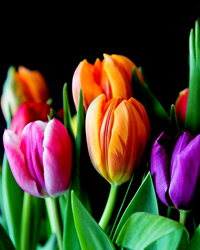 In lieu of flowers, memorial contributions may be made to Good Samaritan Hospice, 2408 Electric Road, Roanoke, Virginia 24018. The family asks that you plant a flower this spring in Carol’s memory or go outside and take a walk and enjoy the outdoors and think of her. Online condolences may be made to Carol’s family at www.rader-funeralhome.com.